Positive side effects of increased heat recovery are a reduced need for cooling and lower cooling water consumption. 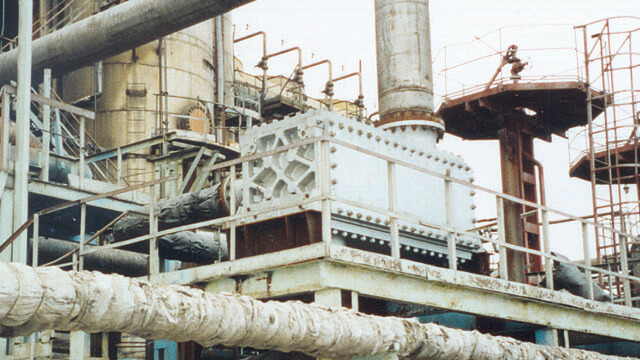 Instead of cooling the heat in a cooling tower, it is recovered and put to use in the plant. When investing in new cooling systems, the best approach is to start by looking at how to recover more energy. Better heat recovery may resolve cooling bottlenecks without the need for new cooling capacity. As an added benefit this reduces energy consumption in the plant and its environmental impact. This is also a good solution if you have restrictions on the return temperature of the cooling water for environmental reasons. When production is hampered by high cooling water temperatures, the easiest way to solve the problem is to exchange existing shell-and-tubes for compact heat exchangers. Higher thermal efficiency lets a compact heat exchanger perform cooling duties with warmer water. The temperature approach can be as small as 2°C (3.6°F), meaning the temperature of the cooling water only needs to be 2°C (3.6°F) below the desired temperature of the process stream. Learn more about our wide range of highly efficient, robust and maintenance friendly heat exchangers. A mid-sized styrene butadiene rubber producer in Asia installed two Alfa Laval spiral heat exchangers and one Compabloc to recover waste heat from a stripping..